A short post about a pencil case ...! 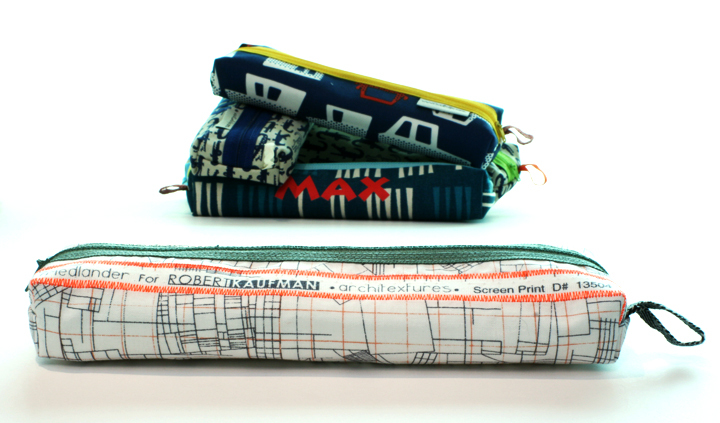 I know it is not the most creative item as many pencil case posts in blog world have preceded this one. Nevertheless I want to show you this particular one, in the front of the picture. 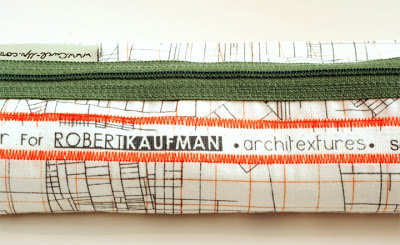 I bought the ‘Architextures’ fabric of Robert Kaufman as my sister and brother in law are both architects. As the fabric itself is very sober, I decided to use the printed side of the fabric showing the manufacturers information as a decorative element. 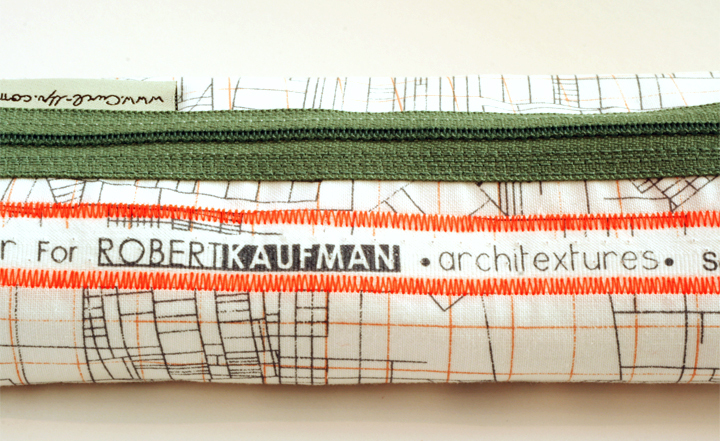 A simple pencil case and the ‘Architextures’ is nicely accentuated by the fluorescent stitching all around. LOVE this!!! especially the selvage detail with heavy stitching! just wonderful! I love this fabric line!! but I haven't found any yet - did you get yours online?? I do not remember at what online shop I bought it, but never had negative experiences by ordering online.